School board meetings have changed to the first Monday of the month at 7:00 pm. Meetings are still held in the multi-purpose room of the John D. Perkins, Sr. Academy of Marlow. For more information about meetings or the school, visit the SAU 29 website or the or the school website. The John D. Perkins, Sr. Academy of Marlow is located on Route 10 approximately one mile north of the village of Marlow. Over the years the school's population has ranged between 35 and 70 students. The school is on about ten acres of land and is bordered on the east by Route 10, on the south by a beautiful wetland which includes a number of beaver lodges, to the east by woodlands which are filled with ponds and trails, and to the north by a single residence which is not visible from the school because of the surrounding woodlands. Nearby is Bald Mountain which overlooks the village and surrounding area. The summit is less than an hour hike from the school on trails which begin on school property. Also nearby is the Ashuelot River, perfect for kayaking and superb trout fishing. Marlow has a population of about 700 people and could be considered a prime example of what small town New England life is all about. In this setting a sense of family and support is evident in the school. Community members have come together to create remarkable changes in the school grounds over the years. A large, multi-faceted play structure sits in the center of the playground, and a nature observatory overlooks the wetlands to the south. Both were produced by partnerships between community members and school staff. In 2011 and outdoor classroom was built on school grounds by an Eagle Scout and graduate of Perkins School. Most students ride the bus to school. Middle and high school students go to Keene schools, located about 18 miles south of Marlow. In the warmer months, some students ride bikes to school over woodland trails that run between the school and the village. Marlow is known as the "icebox of Cheshire County," and as a result, the climate is slightly colder than the surrounding area. The John D. Perkins, Sr. Academy of Marlow or simply, Perkins Academy, is a K-6 public school dedicated to integrating the concepts of sustainability: environmental stewardship, social equity and justice; and local economics in all aspects of learning.The school revisioned itself in 2015 in order to offer the students and families a unique learning environment that values place based, project based and service learning for all children. 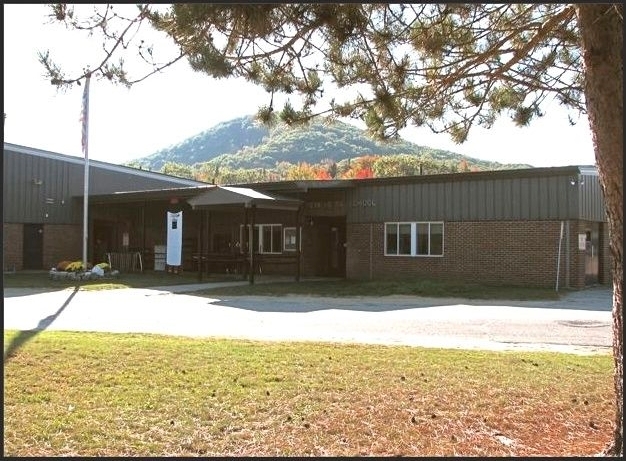 In collaboration with our many community partners, the Perkins Academy is creating and sustaining a special learning community in the beautiful, rural town of Marlow, NH. The school benefits from the support of a very active community group called the Friends of Perkins, a proactive school board and the citizens of this small, rural town. Perkins School educates students in kindergarten through grade six. Upon graduation from Perkins School, students in grades seven through twelve attend the Keene Middle and Keene High Schools. The school is arranged in multi-age grouping that allow students and teachers to develop a rapport which guides the students’ educational journeys allowing them to reach their individual potentials. This year the grouping are: Kindergarten-grade 1 (Primary); Grades 2-3 (Elementary) and Grades 4-6 (Intermediate). The kindergarten program is a full day program. There is a school lunch program for all students followed by a 20- minute recess. Students also have classes in Art, Music, Library, Technology and Physical Education one day each week.